Mr. Huang is an Associate Director within the Leveraged Credit Operations Group. 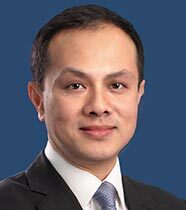 Mr. Huang previously worked at Deutsche Bank where he served as a VP in the Bank Loan Services group within Global Transaction Banking as well as an Operations AVP supporting the High Yield Strategies / Specialty Fixed Income group within Deutsche Asset and Wealth Management. Mr. Huang started his career in Credit Services at Bank of America. He received an MBA in International Business Management from the City University of New York, Baruch College as well as dual bachelor’s degrees in Business Management and Economics from the State University of New York at Stony Brook.